Congratulations! You have got a job! Can you get a job like this? Are you sure you will get a job? Are you sure this is the end? A big “NO” is there. In order to get a digital marketing job, you can fill the FORM here. 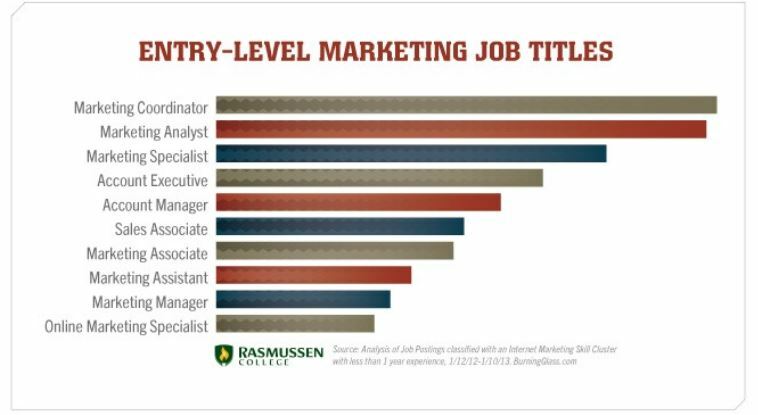 It is actually not easy to find your first digital marketing job. So, how to get a digital marketing job? We will discuss this, but before this please have a look at this, for your benefit. So, what have you achieved from this video? It is very likely that your exam scores play a vital role, but the most important thing, that everybody is looking for is ‘Experience’. Experience matters a lot. Whether you are fresh out of college and looking for a good digital marketing job, it seems like every brand or agency is looking for someone who is already experienced, despite being your result is top class. So, in this scenario, confidence level and your knowledge about the topic will take you to the pitch. A few days back, I came across some rumors which have ended in shock that, the era of digital marketing has gone and now there are no jobs in digital marketing in India. So, the era of digital marketing will never take a stop. Look at the statistics first, you will get confidence. We can see that the demand for Digital Marketers is very high at approx. 56%, but the supply was very less, around 24%. Digital Marketing is the future. There are lots and lots of jobs available in the market, and also the demand of candidates. 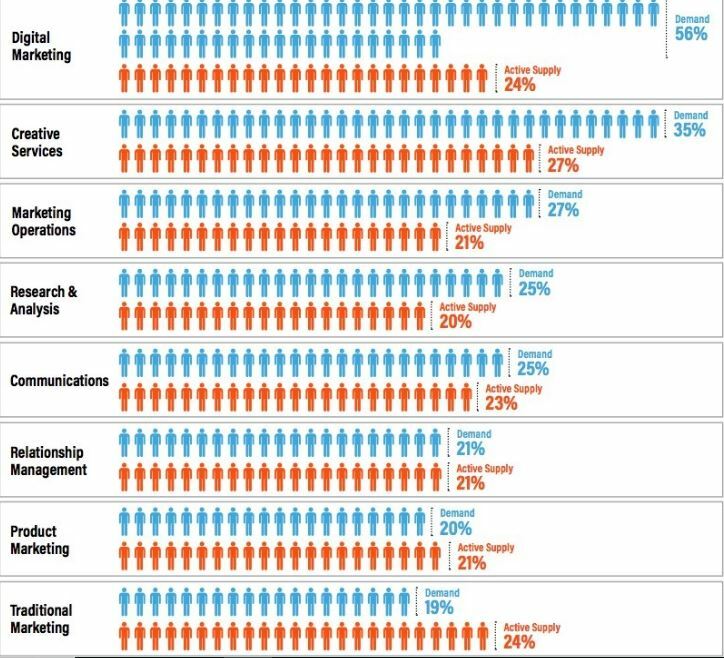 “Around 50% of employees will be looking for the marketing job in 2018”– According to the Global Research from Canada Life Group Insurance. As more and more companies are adopting the internet as a way to sell their products. The need for experts in the field of Digital Marketing has been greater. Digital Marketing is basically a fast-paced evolving industry, which is coming up with a lot of challenges, including a potentially lucrative income, and also plenty of rewards as well. Well, I am sure, by now I am able to tell you that, you can switch your gears and get into digital marketing. 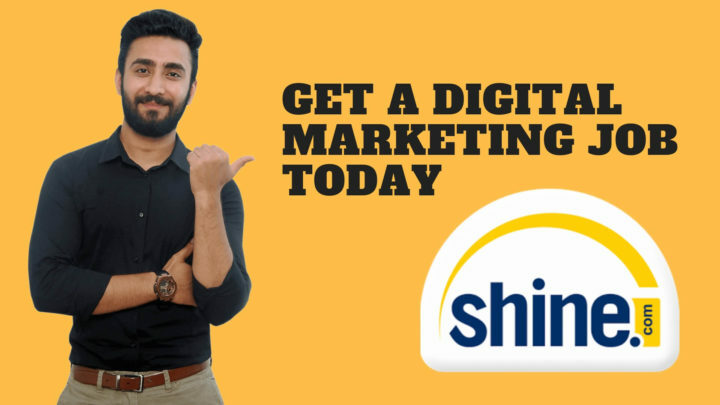 Although for all this, you don’t need a traditional marketing degree to get started, definitely, a course in digital marketing from a good institute will help you understand better. Well, I have a lot more to tell you. But, I think to start with the expert advice would be the best option. So, we are going to tell you how to get a digital marketing job in 2018, according to the senior marketers of Forbes. They have given some advice, while talking to them on the agenda, as what they look for when they hire digital marketing roles. We have seen that Google and Facebook often change their ad buying products and platforms that a good digital marketer has to be flexible and open to accept the changes and also curious about what is next in Digital Marketing. He advised that digital personnel need to try new experiments, and ad products, seek insight and repeat. This is the reason why curiosity is important to be in trend and stay ahead in the industry. The second important thing which is needed is “Confidence”. Confidence to implement the idea or a campaign when there is an opportunity to do that. The confidence of a digital marketer to propose ideas in real-time, act and then analyze may result in stronger engagement. This means that the expertise has to be relevant to the task and job reality. When hiring a digital marketing talent, the experts look for someone who is experienced at managing different platforms and handling customer requests and grievances, as well as they, look for technical talent as well. Technical talent means that the talent should have the knowledge of analytics tools and social media platforms. Though it is true that the companies or organizations are tempted to hire the one who is most experienced and highly educated, yet it is important to search for someone whose talent matches the work environment. Well, it can be said that it is “Creation Vs Execution”. So, it is important that a candidate should have experience in managing stakeholders having varying objectives and should also have organizational experience. While interviewing, the experts always look for the employees with the right attitude. At one time it is easy to say this, but at the same time, it is difficult to find a person with the right attitude and good entrepreneurial skills. This judgment will tend to look around for those employees who have failed in their entrepreneurship. Due to this action, it actually validates their risk-taking ability, also their passion for building something and again their curiosity which is an important trait. Besides experience, candidates who are “Curious” about new things are looked upon. The main reason is that curious people are “Creative” also, and creativity is an important weapon in digital marketing. With the curiosity and creativity, another important thing is “Strategic Thinking”. When we go for start-ups, marketing managers are busy in solving the puzzle of the day- to- day executions. While in the eyes of experts, tactics matter a lot. They say tactics are where the “rubber meets the road”. That means they need someone who is innovative, comes up with fresh and new ideas, and pursue good analytical skills so that it can be decided what is right and what should not be tried upon to save time and money. In order to achieve this, real-time challenges have been thrown on the candidates, where they have to come up with a plan instantly. Remember, a digital marketing expert who has around 180+ connections on LinkedIn. So, above we have discussed the expert advice on how to get a digital marketing job. Now, it’s time to discuss some of the tips to get your first marketing position. Let’s jot it down here. See, digital marketing or marketing industry is not something, where everything is constant. Everything here gets changing every time. You must know that what works today may not work tomorrow. It rapidly keeps on changing. So in order to keep yourself updated with the market trends, you need to keep learning the things. The digital marketing industry is all about knowledge only. Every marketer should gain expertise in their own field. Marketing experts should learn everything they can and keep learning because we have to respect one thing that the marketing best practices are constantly changing. First and most important is “SEO”. SEO hacks to increase traffic etc. You can also choose some best SEO books in 2018 for better understanding and keeping yourself updated on this. Secondly, we know that “Content is King”. If your content is up to date and compelling, no one in the world can stop you driving traffic to your website. You can watch the videos of the experts related to content writing. It is important to gain knowledge, so reading is also a good option. Read the articles on Content writing. Thirdly, which is also an important thing to do is, you should keep learning about the landing page. I recommend you Landing Page Optimization by Oli Gardner. Somewhere everybody has to compromise. But it all depends upon your attitude. If you take things like “compromise”, you will not be able to grow. So, try to offer your work for free or you can also take a low-paying training position. As a fresher, you might not have skills that your dream job requires. For this, you can Apply and get the digital marketing job to have basic experience. Instead of spending your precious time searching for a high-salary and high-level position, be open to offer your work for free or work as an intern. This will help you to get a platform where you can learn things and gain expertise in your liking. This may help you in three ways at least. A) Learn maximum you can from your colleagues. Try to make connections in the market and marketing industry. B) A small platform can take you to the larger arena. Work with the big and large clientele, so that, you would be able to land on your own. C) This, in turn, will give you a description to your job, in order to add to your resume and earn great recommendation as well, if you are doing well at your job. Digital Marketing is all about promotions, advertising, brand reputation doing digitally, using the internet. Through Social Media, you can experience in advertising. You have to understand that Facebook Advertising and Google Adwords may take some time but, they are important. If you want to try with little money, you can also practice Adwords for your own business as well. You can through the tutorials and articles which can make you learn about Adwords and Facebook advertising, but a real-world practice will provide you experience. I recommend you to learn Google Adwords or Facebook advertising first and then practice this. Writing about what you know is a good way to start with. If you do not own your website, or you don’t write a blog especially, then you are recommended to write one so that you start building your reputation as a marketing expert. Well, creating a website is not a dream anymore. You can always create a Word Press Site with very basic technical skills. In order to get a digital marketing job, you should have your own website which will help you learn more and in a better way. You will be able to practice SEO, Social Media, Analytics, designing, and overall marketing skills. Though you don’t have to be an expert to start writing a blog or article, yet you need a large amount of research on a particular topic will give you a good start. This is how you actually learn from the real experts, just consolidate what you have learned and then present it in your own language, so that it will help you create a great post. Here I am going to tell you some great reasons to start a blog or an article. First and foremost, your website will be able to recognize by Google and the recruiters will be able to find you. Secondly, please be aware that it is free and/or very low cost if you purchase a domain. Thirdly, if you don’t have a real-world experience with the marketing campaigns, then please create mock campaigns. This way you will have a place to show off your portfolio as well as the resume. Well, I hope you are well prepared for the marketing job by now. But my “Gyan” is not over yet. There is something which I personally think should tell you seriously. 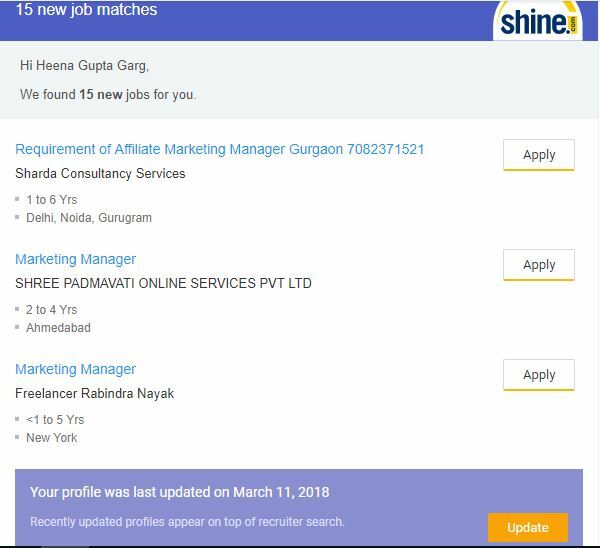 Things which you should not do while applying for a particular marketing position. Conclusion- What Not To Do! So, here I am presenting a few important things that you need not do if you want to be considered for a particular marketing position. 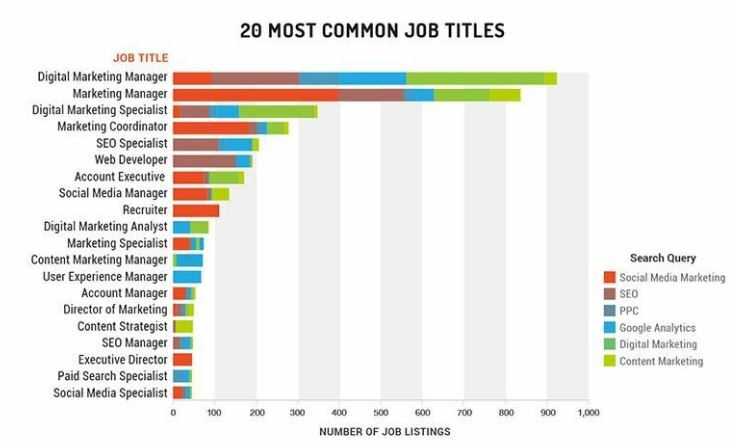 You should know the entry-level marketing job titles. Apart from this make sure that your resume is updated on big sites. But, don’t send the cover letter or resume that looks or even reads like everyone else’s. Try not to be “fake”. If you are not passionate about the company or the job profile, don’t show or say that you are. Please don’t pretend to have experience, skills or expertise, because you will be found out. Don’t put anything that you haven’t proofread or someone else had proofread. This is because a simple typo can take you to the “NO” pile. It will be better to give up. Make sure that you are not supposed to stalk up the recruiters, rather you have to check on a weekly basis if you are not getting any response or haven’t heard back. Basically, this will show that you are very much interested in the position. Well, I think you and I are done with how to get a digital marketing job. You may find it worth reading. So, Congratulations! You have been offered a marketing position that you are looking for. If there is any confusion regarding the interview questions related to digital marketing job you can always refer to online preparation for the interview questions. For queries relevant to how to get a digital marketing job or any other digital marketing related topics, please leave your questions and get the digital marketing job. We will be reverting to you shortly. Informative and detailed blog thanks Dhairya Bhai… this is very helpful. Very helpful blog Dhairya ! Helpful article. Will share this blog to the candidates who are perusing Digital Marketing Course and who are interested in Digital Marketing.